Kate and Alex Rocket are blessed with a wonderful marriage and a lovely home. Although Kate can’t have children, she and Alex look upon Sara and Emily, daughters of their good friends Don and Debbie Winter, as part of their family. With one phone call, everything changes. Sara accuses Alex of a terrible act, opening up a vicious rift between the couples. Kate watches helplessly as her innocent husband is convicted and sent to prison. But when even greater tragedy strikes, Kate’s grief turns to anger, and she discovers an inner strength and steel-edged resolve to clear her husband’s name – and ruin those who destroyed their life together. But Kate’s greatest challenge will be in avenging Alex without losing her chance at a new future – and a precious new love..
Fern Michaels is an author I’ve always respected. I enjoy her books and believe that every story that she has given us has been a gift. Her stories are touching and thoughtful. I was very excited to have a chance to read this book. However, I had problems connecting with the characters. Their lack of empathy and judgmental attitudes made them hard to sympathize with. The characters spend a lot of time insulting each other and even the “good” people in the story seemed malicious. I felt the storyline was missing critical information, such as character development. The timeline seemed to jump forward and leave out too much of the story. 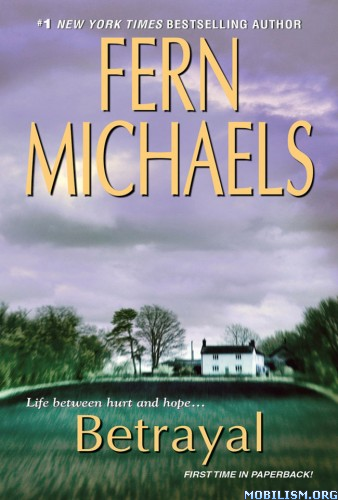 I was very surprised that this was written by Fern Michaels. Please don’t let this be a deterrent to reading Fern Michaels other books. She’s a great author and deserves her reputation.